Firefox 65 Released . With the release of this version of Firefox browser feels completely different, modern, quick and efficient. You will notice that the new Firefox is blazing fast than previous versions. 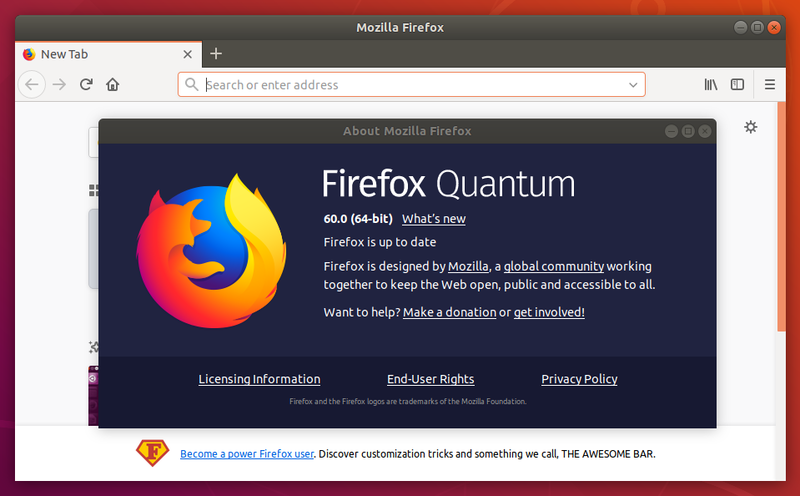 Firefox 65.0 comes with a design refresh called Photon. This article will help you to install Firefox 65 on CentOS, RedHat, Ubuntu, Debian, Fedora, LinuxMint CloudLinux Linux, and other Linux operating systems. This article will use Firefox 65 compiled code available for Linux systems, which doesn’t require any compilation etc. We need to just extract the archive file and start using it. Info 1 – Most of the Debian based systems provides updated firefox version in their default repositories. So you can also try with package manager. Info 2 – The CentOS/RedHat 6 only supports Firefox 41 and older versions due to GTK version. 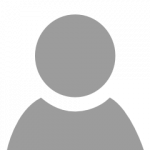 CentOS/Redhat 6 users can download Firefox 41 from below url. Also, unlink or rename the current firefox binary (if available). For example, your current binary location is /usr/bin/firefox. Download the latest Firefox archive from here. At the time of the last update of this article, Firefox 65 is the latest stable version available. Download Firefox 65 source code as per your system architecture using one of the following commands. To download Firefox 32-bit version visit here. After downloading the latest version of Firefox archive on your system, let’s extract the archive using the following command. Firefox source is completely pre-compiled and we don’t have to do anything to make it running on the system. Here install Firefox means to configure Firefox to work on your system. You just need to create a soft-link of Firefox binary file to systems bin directory to make it accessible from anywhere in the system. Now start Firefox using following command from Linux terminal. You may also use the GUI menu to start Firefox on your system. I am running RHEL 5.10 trying to install firefox. After installation, when I type the command “firefox &”, Im getting an error hat GLIBCXX NOT FOUND. Please help. It´s means that since firefox version 42, It´s no longer compatible with CentOS 6. The more easier option is to install firefox 41. Change every steps on this tutorial on this version and it will works! Can you write new article for install nightly firefox in centos? I need tutorial for it.. I downloaded FF 57 with my old version 52 it goes into your Downloads dir. hi I got this message: what does it mean and what do I do about it? ln: failed to create symbolic link ‘/usr/bin/firefox’: file exists. Try purging rather than just removing existing firefox so it takes the conf with it. If that doesn’t do it, manually rm the file. Sorted! Managed to resolve in Synaptic Package Manager. Had to go through language pack by language pack though (probably cocked summat else up knowing me!) deleting extraneous (to me) languages. All tickedy-boo now. Yippee ? Hi, Rahul i just installed centos basic server and followed your steps it didn’t work for me…. can u please help me…. Thanks for the instructions. it is working. Hi, Is it possible to update firefox on edbuntu live edition..? It went every thing well. At last it gave can’t create link bcaz already exists. I would like to know on Centos 7 , with gnome gui installed, is this Firefox install will just replace the current Firefox Or it will install in a separate location ? when using Firefox 31 with CentOS 7 it can’t see flash player even it’s installed in my machine. any ideas ? Say is this version compatible with a 2006 ACER 5003WLMi 64 bit Turion running 2008-4 Ubuntu Lucid Lynx? Or what should I try to get- where’s the stable FF repository that still works? And Skype. Thanks. I have some error message here. How can I fix this problem? Thank you! You can’t use Firefox in CLI mode. For CLI mode you may use elinks command. but how to install flash player?